Serve with apple slices for dipping. Go savory-sweet and spread inside celery sticks. Spread on waffles, pancakes or toast. 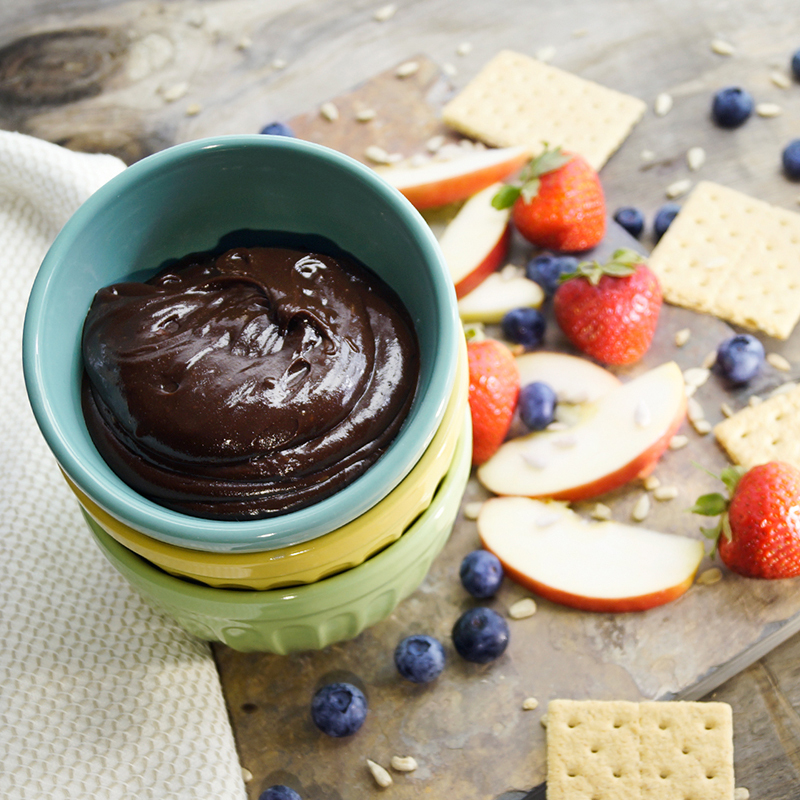 Dip out a spoonful and enjoy! Per 2 tablespoon serving: Calories 90, Calories from Fat 40, Total Fat 4.5g, Saturated Fat 1g, Trans Fat 0g, Cholesterol 0mg, Sodium 35mg, Carbohydrates 11g, Dietary Fiber 2g, Sugars 9g, Protein 2g, Vitamin A 0%, Vitamin C 0%, Calcium 2%, Iron 4%.